UPDATED: Tue., May 23, 2017, 11:24 p.m.
Local officials on Tuesday rolled out a new smartphone app and notification system that deliver real-time updates about local emergencies. The Code Red Mobile Alert app is available for download on Apple and Android systems. Spokane County residents also can sign up for emails, text messages and automated phone calls by visiting AlertSpokane.org. “The best part of this new system is that it’s equipped with a location feature,” said County Commissioner Shelly O’Quinn. The app locates cellphones that are within range of an emergency before sending out notifications. It will be used to distribute information about floods, fires, missing persons, contaminated water and ongoing criminal activity, among other situations. Residents with landline phones are already in the county’s database and should receive automated calls. Residents can call back the system’s toll-free number – (866) 419-5000 – to hear notifications again. 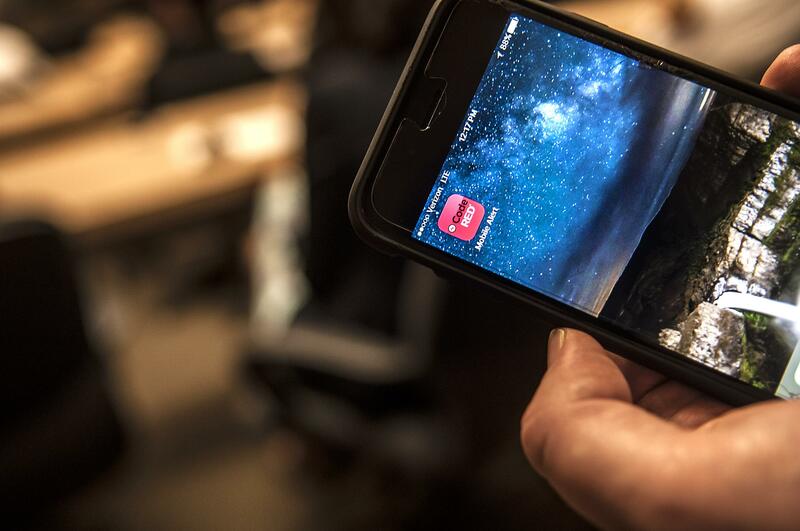 The app must have access to a smartphone’s location in order to work properly, said Lorlee Mizell, the county’s emergency communications director. Mizell said the app costs $50,000 a year and is being paid for with revenue from the county’s 911 sales tax, which voters overwhelmingly renewed last month. The tax is one-tenth of 1 percent, or 1 cent on a $10 purchase. “In order to purchase this product we needed to have that one-tenth renewed,” Mizell said. Brian Schaeffer, acting chief of the Spokane Fire Department, said the app will be especially useful during wildland fires and releases of hazardous materials, instances in which mass communication has often been lacking. Before sending out notifications to a geographic area, law enforcement agencies, including the Sheriff’s Office and city police departments, can delete certain addresses to avoid tipping off a suspect, Mizell said. The technology is separate from upgrades to the local dispatch system, which are also being funded through the sales tax, Mizell said. The “next-gen 911” system will enable callers to send photos and videos to dispatchers via text messages. Published: May 23, 2017, 5:10 p.m. Updated: May 23, 2017, 11:24 p.m.